It's our pleasure to welcome NY Times and USA Today Bestselling author Francis Ray to The Romance Dish today. 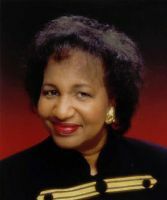 The award-winning author of more than forty books, Ms. Ray recently took time from her busy schedule to answer a few questions for me. Welcome to The Romance Dish, Ms. Ray. It’s our honor to host you today. Your newest book, A SEDUCTIVE KISS was released January 31st. What would you like readers to know about this story? Thanks for the invitation. I'd like readers to know that A SEDUCTIVE KISS is a passionate love story, but it's also about how love can make you stronger to face life challenges. A SEDUCTIVE KISS is part of your Grayson Friends series, a follow up to your popular The Graysons of New Mexico series. Is it necessary to have read the previous books to fully appreciate the stories in this new series? No, it isn't necessary to have read the other 4 books in the series to enjoy A SEDUCTIVE KISS. In face, there's an update at the beginning of the book that is intriguing rather than confusing, and best of all A SEDUCTIVE KISS introduces you to the two heroes in WITH JUST ONE KISS and A DANGEROUS KISS. Wonderful! You've had a diverse and successful writing career, publishing in a variety of formats including confession stories, series romance, romantic suspense, Christian and women's fiction. Do you have a favorite? Will you continue to write in more than one sub-genre? My favorite to write is contemporary romance. However, I still receive mail from readers wanting a sequel to THE BARGAIN, my one and only historical. I also want to return to Christian fiction one day. I just need to figure out how to make the days longer. Sigh. If you ever figure that out would you mind sharing it with the rest of us? I could use more hours in my day! What inspired you to begin writing? Was there a particular author or influence in your life that lit the creative writing fire in your soul? Katherine Woodiwiss' SHANNA inspired me to read a romance book. After the third book by her, I knew I wanted to write about love that lasts a lifetime no matter the obstacles. I think that's why many of us enjoy reading romance. How fortunate for us that it also inspired you to write! In addition to being a prolific writer - with more than 40 published books to your credit - you are also a School Nurse Practitioner. You must be a very busy lady! How do you prevent the stress of multiple careers from taking over? I love to work off stress by working in my flower garden, which also helps with research. There are flowers in almost all of my books. I also love to shop and read as well. Do you have favorite authors to whom you turn when your writing is put to bed? I love books by Nora Roberts, Jayne Ann Krentz, Bette Ford, Kimberly Lawson Roby and Sherrilyn Kenyon. All are fabulous with weaving stories with strong characters - a must for me when reading. Your sixth book, INCOGNITO has the distinction of being the first made for television movie for BET. That must have been a thrill! What was it like seeing your creation brought to the screen? Were you able to have input into the final product? Seeing INCOGNITO being made, then being at the premier was an event of a lifetime. At the premier in Dallas I was able to bring my family which was absolutely fantastic. Unfortunately, I didn't have any input in writing the script. Have you been approached about making any of your other books into movies? Do you have a favorite you'd like to see on the screen? I haven't been approached, but my agent is actively looking. I'd love to see THE TURNING POINT on the screen. Speaking of THE TURNING POINT (republished in 2004 as TROUBLE DON'T LAST ALWAYS), after its original publication in 2001, you established The Turning Point Legal Fund which provides assistance to women touched by domestic violence and help in restructuring their lives. I'm sure most of us know someone who has been a victim of domestic abuse and some may have even been in the situation themselves. Please tell us more about this fund and how readers can contribute to this important cause. Your webpage says you will have four titles released this year. Please tell us a bit about the other three books and when we can expect them to "hit the street." A SEDUCTIVE KISS (01/30/12) is Alex Stewart's story. He's a successful lawyer who has loved a woman all his life and finally gets a chance to show her. WITH JUST ONE KISS (02/28/12) is about C.J. Callahan who owns a bar, runs his family computer software company and thinks he knows women until one kiss shows him differently. WHEN MORNING COMES (06/05/12) is the heart-wrenching story of Dr. Cade Mathis' struggles to come to terms with being given up at birth by his single mother. A DANGEROUS KISS (06/26/12) is Payton "Sin" Sinclair's story. Sin has a dangerous secret and finds the healing power of love. Looks like we have some great reading waiting for us this year! Thank you so much for visiting with us today, Ms. Ray. Is there anything you'd like to add for our readers? Thank you and bless you from the bottom of my heart. Your support has given me the ability to live my dream as a published writer. I couldn't have done this with out you. For more information on everything Francis Ray, please visit my website at www.francisray.com. I have an exciting program called Kiss & Tell where readers can win prizes for passing out bookmarks to help spread the word about my 2012 line-up. Seriously impressed with the fact that you have 4 titles out in 2012. I need to catch up on my reading. Good Morning, Francis! Thank you again for graciously answering my questions. As Gannon said, you are one busy lady and we all appreciate you taking the time to visit with us today. Congrats on the new releases this year. 4 books-wow. Can't wait to check them out. Have read a couple of your books and have enjoyed them, can't wait for the others. I too am awed by four books released in one year. Amazing! I need to join Marybelle and Gannon in playing catchup. 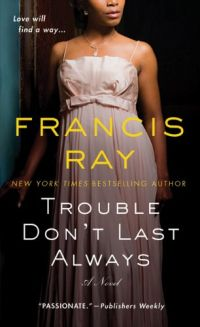 I must add that the first thing I think of when I see Francis Ray's name is her Taggarts of Texas series. What terrific stories! Francis, I also loved Shanna. It has stayed on my keeper shelf through many, many purges. I used to work with domestic violence victims, who are all too often misunderstood and condemned. I applaud the work of your foundation. Congrats on your amazing release schedule! You have been one busy lady to have four titles coming out this year. Hi PJ and Francis, I enjoyed your interview very much. Francis, you are a new writer for me and that is what I love so much about TRD. it is a perfect forum to introduce us to writers we might have missed out on. Your idea of writing a introduction of prior related books in a serier is brilliant! I wish more authors of series would do the same. Congrats on your many new releases this year. Marybelle, thanks for stopping by. Hope you have a chance to pick up one of my books. Please let me know what you think. It's great being here. Nice and welcoming. PJ, you are such a sweetheart. Hugs and thanks again. Chrisbails, I'm thrilled you're acquainted with my work. I believe you'll enjoy the books coming out this year as well. Jagna, the Taggart were popular. I'm pleased you remember them. I think the male leads in the 'Kiss' trilogy have the same kind of reader appeal - gorgeous, loyal, compassionate and successful in business if not in love. Nancy, thanks for the congrats. And thank you for your past work with abused women. Many of their stories just break your heart. Quilt lady, it has been busy and will continue for some time. I just went back to contract to have 3 romances in 2013. I recently turned in AFTER THE DAWN, the Jan 2013 mainstreasm. fsbuchler, thanks for stopping by. It's always exciting to meet a potential new reader. I'm thankful to PJ and The Romance Dish for allowing me this incredible opportunity. I hope I didn't confuse you too much seeing the name Michelle. I can't find my pass word, so I used my daughter's - Michelle - to answer questions. I should have put this post first. However, the picture is me. Deepest apology. Thank you for stopping by, Francis! Exciting news that we'll have three more books from you in 2013! I do wonder, however, when you find time to sleep! lol! PJ, it's been excititng, and a bit hectic staying on schedule. I'm just grateful to have a great editor who likes my work, loyal readers who support me, and wonderful people like you who allow me to connect wirh readers through their exciting sites. You are one special lady! !